It’s officially my absolute favorite season!! It’s time for basic white girls squealing in delight over pumpkin flavored things and UGG boots. Thankfully, those are two things that I hate but EVERYTHING ELSE about fall makes me so excited. Boots, scarves, cozy sweaters, cute hats, crisp air, pretty leaves, pumpkin and apple picking,fall festivals, football games, a sense of community, etc etc etc. I could go on for days. But the MOST exciting part revolves around food, of course. Who would I be if I didn’t relate everything to food?? I learned this caramel corn recipe from the Taj and it’s so freaking good and easy to make! Its the perfect match of sweet and crunchy for the fall and just in time for Halloween. Enjoy!! 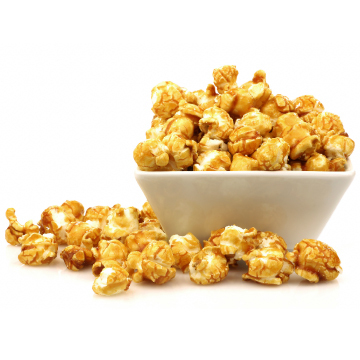 Begin by popping your popcorn kernals on the stove in a large pot with a couple tablespoons of canola oil. Keep the pot covered with a lid or a large piece of aluminum foil. As the oil starts to get hot, begin shifting the pan back and forth to agitate the kernals and keep them from burning. Stop stirring once the mixture is boiling, and let it go for 2-3 minutes. Take the mixture off the heat and quickly stir in baking soda and vanilla extract. 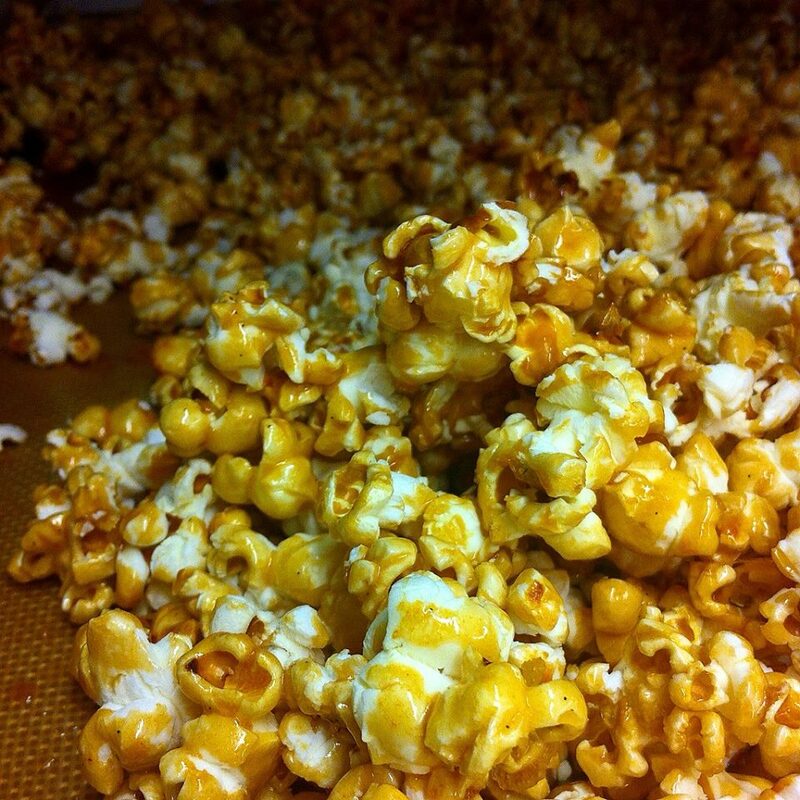 Immediately pour the mixture over the popcorn and quickly fold together coating all the kernals. Spread the popcorn on parchment and oiled sheet pans and bake for 60 minutes. Check and stir the popcorn every 20 minutes. Let cool, break into pieces and eat away! Let me know what you guys think! I’m definitely keeping this recipe in my back pocket. On Tuesday, I’m divulging some more of my secret Boston finds! I love this city! Thanks for reading- hope you all have a great weekend!